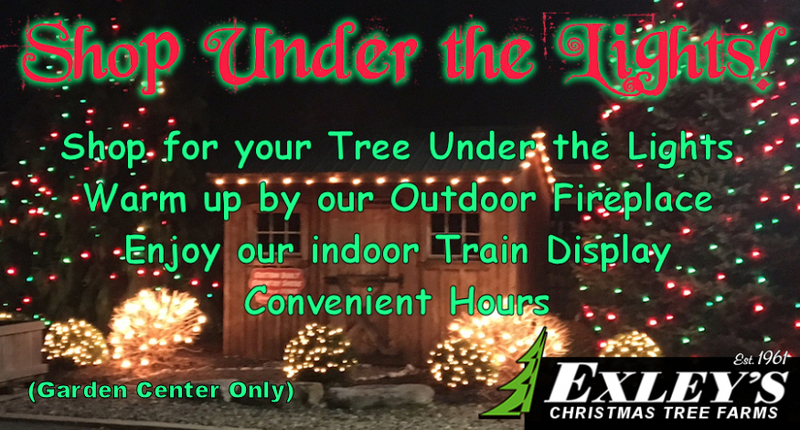 Exley’s Christmas Tree Farm is a subset of Exley’s Landscaping Service, Inc. The company was started four decades ago by W. Robert Exley. It began as a lawn service, but flourished to include landscaping, and now Christmas Trees. Exley’s now has two Tree Farm locations: Sewell and Monroeville. We strive to provide quality Christmas trees that will brighten your holiday. We also have a wide range of holiday activities, and invite you to visit us!